"This is big, real big. Astronomers have dedicated a lifetime to discover 500 dead planets in outer space and for the first time in history, now we have hit the jackpot." As humanity races headlong towards a rapid evolutionary shift, astounding events continue to unfold that are more frequently finding their way into mainstream news reports. As if right on cue, nearly all of the major news outlets jumped on an amazing story recently of a revolutionary new scientific discovery out in the cosmos. Mainstream scientists now are saying they have discovered a planet they are officially labeling as the new Earth! This major announcement would appear to be yet another astonishing admission signaling great changes on our own planet are imminent. While some have described this planet as a new Earth, others are categorizing it as a planet similar to Earth's biosphere with all the same atmospheric and environmental conditions that would make it habitable by human beings. Astronomers are categorizing this planet as lying within a so-called "Goldilocks Zone," meaning it is not too hot and not to cold to support life. For the time being, this planet has been simply named, "Gliese 581g", and is found in a galaxy about twenty light years, or about six trillion miles away from our home planet. Scientists are speculating that this planet has region surface temperatures which potentially would allow the presence of liquid water. Discovered by researchers from the University of California at Santa Cruz (UCSC) and the Carnegie Institution of Washington scientists have even gone so far to speculate that "many" Earth-like planets could exist in the universe! –– First and foremost, the very fact that traditional scientists are saying this remote planet could sustain life now obliterates the utterly false notion that humanity is and always has been alone in the universe! This kind of information, now officially endorsed by both mainstream science and media, indicates that a number of long held institutions are poised for impending revolutionary changes. The admission that life could exist on other planets could turn religion, science, social, political, technological, military, energy and economic structures completely upside down within the very near future. –– This news could be yet another clear indication that the truth embargo locked down around the history of the Earth and the human race is about to be shattered into a million pieces. For decades, the scientific community has lied about nearly everything of great importance to the people of the Earth. Yet, as we sit on the threshold of 2012 and with many big changes predicted for the year 2011, we can clearly see the paradigm is beginning to rapidly shift. The universe is a vast and endless collection of galaxies, stars and planets. To even put forth the notion that we are alone in the entire universe has to be one of the most absurd ideas human beings have ever come up with and still believe in. Yet that has been the official word from our scientific community –– until now. One person who wholeheartedly believes that the discovery of a new Earth is really important news is renowned astrophysicist, Professor Michio Kaku. "This is big, real big. Astronomers have dedicated a lifetime to discover 500 dead planets in outer space and for the first time in history, now we have hit the jackpot," Dr. Kaku said in a recent interview on MSNBC. "It would have theological, philosophical, biological implications, this discovery is a game changer. It could mean perhaps there could be billions of planets also out there with maybe microbial life or maybe intelligent life," Professor Kaku added. –– The third point to consider is that we are now deep within the process of a total revision of our entire spiritual heritage and the stranglehold that religious institutions have held over humanity's metaphysical history is about to be permanently broken. 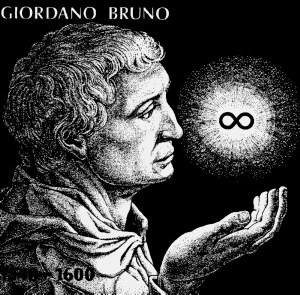 Four hundred years ago in 1592, the Dominican friar, Giordano Bruno, was burned at the stake by the Catholic Church for merely suggesting there could be intelligent life out in the universe. After the persecution of Father Bruno, there was the deplorable case of Galileo Galilei, who in 1633 was convicted of heresy and placed under house arrest for life for theorizing that the Earth was not the center of the universe. An apology to Galileo was issued centuries later during Pope John Paul II"s reign. But none has been forthcoming for Father Bruno, at least not publicly. The Vatican has an absolutely shocking and horrific track record when it comes to embracing any kind of progressive thinking for humanity, specifically regarding the history of the human race. And their numerous attempts to cover up the truth has been duly recorded in the mainstream historical record. These are just two examples of the long, long list of crimes by the Vatican that clearly show an institution hell bent upon enslaving humanity's evolution. In the early 1500's, the Catholic Church, along with the full participation of the King of Spain, (head of the Holy Roman Empire) and his Conquistador assassins (led by Hérnåndo Cortés), were the driving force behind the genocide of the Mayan race and the eradication of all their sacred calendars and culture. After the Mayan race was nearly wiped off the face of the Earth, the Vatican and Pope Gregory XIII followed up with the brute force introduction of the Gregorian calendar in 1582. This act resulted in the further deaths hundreds of millions of indigenous people vehemently opposed to a new calendar system away from their own sacred calendars. The Gregorian calendar has had catastrophic ramifications for the entire human race and significantly altered the evolution of human consciousness. We hardly ever consider our calendar system yet it has enslaved us within a prison of time and commerce in a life altering fashion. Needless to say, it simply boggles the mind how the Catholic Church is able to this day, harbor any shred of respectability given their blatant and well documented crimes against humanity. And that is without mentioning the alleged vast treasure trove of sacred documents, technology, inventions, medicines and other benefits to mankind that lie beneath Vatican City in the over 60 miles of catacombs that make of the secret Vatican archives. Yet, recent signs are indicating that the Vatican has begun the process of preparing their remaining followers for the unveiling of the existence of extra-terrestrial life. Over the last two years, various members in the Vatican establishment have been openly talking about aliens and the need to eventually accept them. Are they to be trusted on the ET issue? Hardly, but their pronouncements are certainly worth monitoring carefully. At the same time, we now know from numerous whistleblower testimonies, leaked documents, and the official release of UFO files from countries such as Denmark, England, Russia, France, Belgium, Ireland, Turkey, Brazil, Spain, South Africa, etc., that our own government has known about ET's since at least the 1940's. Perhaps even longer. The other questions that immediately arise with this new Earth discovery is the curious timing of it all. Although it was first reported back in 2007, the scientific community seems almost insistent on making it even more relevant than ever before. Improbable as it may sound, could this somehow be the new Earth forming in a 5th dimensional reality that many have foreseen? Obviously, as we live now within a 3rd dimensional existence, it would be impossible to even see a 5th dimensional Earth from our current vantage point. But nonetheless, some reports oddly enough have stated that this planet is five times the size of our present Earth. That coincidence is worth noting too. Therefore, is this discovery and subsequent announcement of this planet the long rumored new Earth as foretold in the Bible and by many other modern prophets and researchers such as David Wilcock, Dolores Cannon, Drunvalo Melchizedek, and Eckhart Tolle? Or does it signal a paradigm shift away from the tried and true cover up of the existence of other life in the universe? Those questions will be answered in due time but until then we can revel in the realization that the cracks in our false reality are rupturing and the truth is spilling out everywhere. It is only a matter of time until we will finally possess a clear understanding that the universe is teeming with life. And always has been. On the flip side of the coin, yet another possibility that absolutely must be considered with all this discussion about ET's coming out of the Vatican hierarchy, the new Earth discovery and the numerous other synchronistic events occurring, is that are we being set up for "playing the alien card." This is a long planned scenario that has been lying in wait when the world's controllers are backed so far into a corner they will feel the need to rally the world in one last ditch effort to sustain their false paradigm. And many insider reports are indicating we have arrived at that time. This plan, rumored to be code named Project Blue Beam, involves staging a fake alien invasion of planet Earth with satellite hologram projections, or actual military/black ops craft, that would give the appearance that a real unilateral attack by some kind of hostile ET race is underway. In theory, this event would unite the human race under one common cause to save the Earth from annihilation. President Ronald Reagan hinted at this possibility during a historic speech he gave first in 1985, and then again at the United Nations in 1987. Before the United Nations General Assembly Reagan pronounced: ”In our obsession with antagonisms of the moment, we often forget how much unites all the members of humanity. Perhaps we need some outside, universal threat to make us recognize this common bond. Those were quite shocking statements made back in 1980's yet evidence has emerged since then that during that period of his Presidency, Ronald Reagan had become obsessed with the idea of aliens after seeing Steven Spielberg's seminal film, "ET: The Extraterrestrial". As for Project Blue Beam, it has likely gone under another deep cover name at this point in time. Either way, this highly elaborate plan also involves using giant holograms of major religious figures such as Jesus, Buddha, Krishna and Mohammed to introduce a so-called new age religion. This will ultimately pave the way for a one world religion under the New World Order. Naturally, years of groundwork has been laid in preparation for an event of such magnitude. And if indeed it eventually occurs, you can bet it will be bigger than World War II and 9-11 rolled into one. World renowned actor and radio personality, Orson Welles, proved that a scenario as this could easily be done with his fictional, "War of the Worlds" radio program back on October 30, 1938. In that historic radio broadcast, Welles and his group of play actors, portrayed a seemingly real account of a Martian invasion of the Earth that ultimately served as a brilliant test run to gauge public reaction. Years later in 1953, "The War of the Worlds" was turned into a movie during a decade when the American public was inundated with a slew of sci-fi alien invasion films. Later, it was remade yet again in 2005, this time starring uber-conspiracy movie star, Tom Cruise and directed by, (you guessed it), Stephen Spielberg. Others movies like, "Independence Day," "Invasion of the Body Snatchers" and "Signs", as well as TV shows like "V" have raised the ante that such a scenario will unfold sooner, rather than later. So the American public is well primed for such an overwhelming spectacle to unfold but there are also much more positive chain of events on the way that will be even more spectacular to behold. The famous Nazi/NASA scientist, Werner Von Braun, accurately predicted there would be several stages leading up to a faked alien invasion. These included a cold war with the Russians/Eastern Bloc, a terrorism menace (Osama bin Laden, Saddam Hussein, etc. ), a rogue nation threat (Iran, North Korea, Venezuela), and an asteroid attack. Von Braun has been eerily correct thus far on most accounts. Ronald Reagan was also in office when the so-called Star Wars Defense System or SDI (Strategic Defense Initiative) was announced. The cover story that was laid before the American public was that SDI would shoot down any nuclear missiles fired at the US from Russia. They even had the audacity to label this system as a "Peace Shield". Yet many whistleblowers have stepped forward and have revealed that SDI was a sophisticated weapon system aimed away from Earth to shoot down incoming alien craft from above. And in fact, it was nothing short of an all out plan to weaponize space. The 2006 film, "UFO: The Greatest Story Ever Denied" offers a lot of insider testimony on the insane plans to both create a fake alien invasion and to weaponize space. And speaking of Steven Spielberg, the iconic director of "Close Encounters of the Third Kind" is behind numerous other alien film and television projects. These include the newly released film "Skyline" as well as the upcoming TNT network show entitled, "Falling Skies" in the summer of 2011. 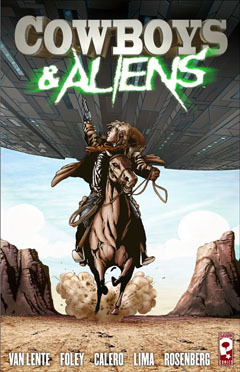 Also worth noting is the sardonic film titled, "Cowboys & Aliens", starring none other than Hans Solo himself, actor Harrison Ford of Star Wars fame. In fact, there are as many as eleven further new film and television projects to be released beginning this month and into 2011 about aliens invading Earth. Other alien themed films planned beginning in 2011 and into 2012 will feature: "Battle: Los Angeles"; "Iron Sky"; "Battleship"; "Monsters"; "Paul"; "Alien 5"; "Area 51"; "Predators 2"; "The Darkest Hour" and "The Thing"
And on top of those, already airing on the NBC network is "The Event" and "V" on the ABC Network (new season premieres January 4th). As you can see from the list above, it seems abundantly clear we have been spoon fed the hostile alien program through a series of strategic media educational programs disguised as entertainment for decades now. And it is about to get a whole lot more serious. 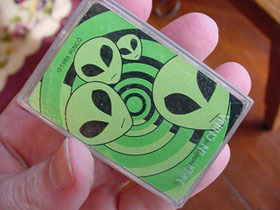 It seems inevitable that the alien card will be played as one of the last straws for this old paradigm of reality. In an ironic twist to the story, on Monday, November 8, 2010, a mysterious missile was shot thirty-five miles off the coast of the Southern California. The event was covered first by Bay Area news station, KCBS, and then picked up by mainstream news outlets like CNN, Fox News and the Christian Science Monitor. Many wild theories have emerged as to what may have happened including the launching of a nuclear missile towards Iran, the show of force by the Chinese or the intervention of extra-terrestrials, as seen in the video by Russia Today below. Initially, no one within the government, military or FAA claimed to know anything about this missile. But two days later, the Pentagon sheepishly claimed it was actually a plane that was in the sky that day. Yet reports and video have now surfaced that a UFO was edited out of subsequent news footage. Raw Video: Mystery Missile Appears over Southern California. Helicopter CAM "no audio"
Apparently, various reports claimed that other missiles were fired in Arizona, New York and San Diego. All were left unexplained as well. If our own military was attempting to shoot down extra-terrestrial crafts that are now appearing regularly over the United States and other countries, then this was as foolhardy as it gets. This is an unfolding story that will likely reveal more clues in the days and weeks ahead. Given the unfolding of the 2012 prophecies, the approaching end of the Mayan calendar, the numerous UFO sightings, the large number of significant crop circles, the appearance of the mysterious blue spirals, it seems readily apparent that all signs are pointing toward any number of amazing possibilities for the people of the Earth. 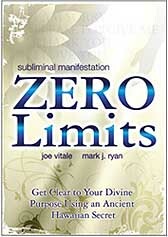 You can expect this acceleration to increase as we venture into the year 2011 and beyond when we are poised to enter the ninth and final level of consciousness. Initially, this date was projected to be February 10, 2011 but has been recalculated by preeminent Mayan calendar researcher and author, Dr. Carl Johan Calleman to begin a month later, on March 9, 2011, and then conclude on October 28, 2011. Regardless, it is clear from all the events outlined above that we are deep within the most incredible times ever in the history of the Earth. And it is about to get a whole lot more exciting. And very, very soon! Here is more proof that people all over the world are waking up and deciding within themselves that ENOUGH IS ENOUGH! Each and every week that passes by means that another few 100,000 people have woken up and are not content with carrying on with business as usual. This will continue to grow exponentially as we venture into the year 2011 and then it will explode into an avalanche of mass awakenings. Get ready to see more and more and more of this with each passing month. The sleeping giant has arisen and all the kings horses and all the kings men will never be able to put him back to sleep again! 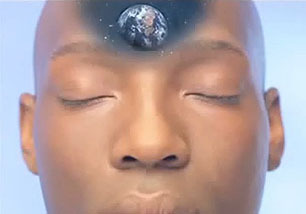 These are the signs we have been waiting for and this as a huge development that signals consciousness is moving rapidly towards a tipping point. And that tipping point is on the fast track now! New Planet Discovered 2010, Gliese 581g, New Earth Like Planet? 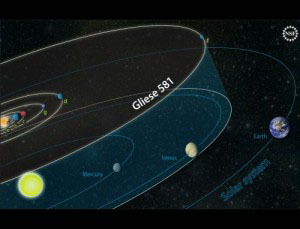 On New Planet Gliese 581g, Have We Finally Found E.T.? A Flood of Alien-Invasion Projects Is Approaching — But Why?